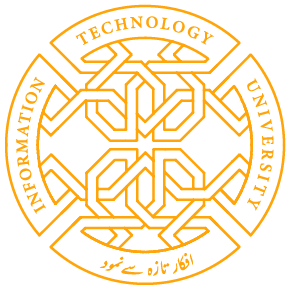 The Information Technology University (ITU) the Punjab will train the generation of policy makers by including data science courses and establishing ITU Centre for Civic Innovation (ICCI) with social sustainable innovation lab, to become one of the first comprehensive civic engagement program at any university in Pakistan. Dr. Umar Saif founding Vice Chancellor of ITU said while chairing the 8th syndicate meeting here today. He said that ICCI initiative geared towards addressing community based problems and civil society challenges through an amalgamation of research, use of technology and innovative interventions. The integration of government, civil society and academia would play vital role in improving the lives of citizens and the functions of the society, he stated. The meeting accorded approval to the recommendations of academic council to launch the undergraduate programs for the session 2018 including BS Economics with Data Science and continuation of faculty of Science programs: BS Computer Science, MS Computer Science, MS Data Science, PhD computer Science, faculty of Engineering: BS Electrical Engineering, MS electrical Engineering, PhD electrical Engineering, faculty of Humanities and Social Sciences: MS Development Studies: Development, Technology and Policy and faculty of Business and Management Sciences: BS Management & Technology and EMBITE (Executive MBA in innovation, Technology & Entrepreneurship for the session 2018-19. Share the post "ITU TO TRAIN GENERATION OF POLICY MAKERS THROUGH CIVIC INNOVATION CENTRE-Umar Saif"